Severe drought, exacerbated by poverty and conflict, hit at least four countries in 2011 - Djibouti, Ethiopia, Kenya and Somalia - displacing hundreds of thousands of people. Thousands in Somalia and Ethiopia began the year by making the dangerous journey to Yemen. Others from these two countries headed for South Africa where they faced arrest, deportation and detention. Among other innovations, the humanitarian response in drought-affected countries across the Horn saw an escalation in the use of cash transfers. As the magnitude of the drought crisis gained international attention, familiar laments emerged about the failure to heed warnings issued months earlier and learn from previous famines by building resilience to inevitable weather shocks. The drought was especially hard in Somalia, with the UN declaring a famine in some regions of south-central Somalia. Drought and insecurity forced hundreds of thousands to flee to neighbouring Kenya, swelling the number of people in the congested Dadaab refugee complex, which for many residents, has been “home” for most of their lives. Meanwhile, relief efforts inside Somalia were thrown into jeopardy by the banning of several agencies by the Al-Shabab insurgency as well as by frequent looting at distribution centres and also Kenya’s military intervention, aimed at neutralizing the insurgents. US anti-terror legislation has also placed hurdles in the way of aid agencies. After visiting Mogadishu on 9 December, UN Secretary-General Ban Ki-moon said: "On the humanitarian front, UN agencies and NGOs have done outstanding work. Their collective efforts have saved thousands of lives since famine was declared in July. But the situation - particularly in central and southern Somalia - remains dire. Four million people are in crisis; 250,000 people face famine." At the end of 2011 it was rain, which cut off those in need in Somalia. Increased insecurity in northern Kenya saw a police crackdown on Somali refugees in northern Kenya. The year started with calls for action to mitigate the effects of recurrent drought amid warnings that livestock deaths in northern Kenya could increase as the drought worsened. When the drought became serious later in the year, farmers as well as ordinary Kenyans came together to raise funds for the hungry in an unprecedented campaign, Kenyans4Kenya. The drought had a largely overlooked knock-on effect on food prices in poor urban areas and led to an escalation of conflict in some pastoralist areas. October saw floods which displaced thousands and rendered parts of the country inaccessible due to washed away bridges and impassable roads. 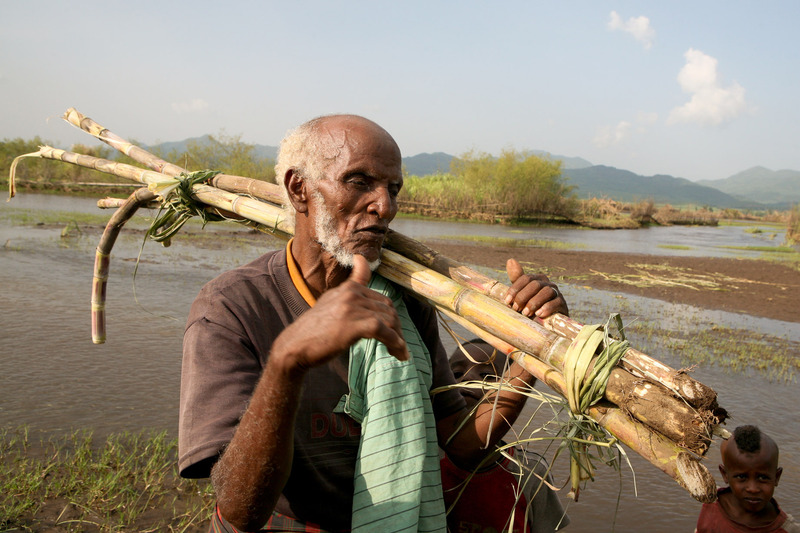 At the end of the year the floods were affecting more than 100,000 people and undermining food security recovery. Food shortages, as a result of poor rains, were experienced in early 2011 in the Oromiya and Somali regions, prompting the government and its international partners to appeal for US$226.5 million in relief aid for almost three million people. In May, food and non-food aid started arriving. A cash transfer programme was launched in September to help reach some of the most vulnerable people in Tigray, one of Ethiopia's most food insecure regions. The pilot scheme transfers cash to those least able to earn money. Lack of adequate preparedness to cope with drought was one of the issues highlighted by President Ismail Omar Guelleh in an interview with IRIN on 27 January. "The problem in our region is that we don’t plan properly for what we know is coming. Four months ago, we had a lot of rain. Four months later, we are dying of starvation and lack of water," he said. In August, the UN Central Emergency Response Fund (CERF) made a US$3.2 million allocation to UN agencies to help avert an acute crisis caused by the drought. Drought and poverty prompted thousands to make the hazardous journey to Yemen, with the UN refugee agency, UNHCR, estimating that at least 60,000 migrants had arrived in Yemen between January and August 2011, double the number that had arrived during the same period in 2010.